Our goal is to provide you with the tools and information you need to make the best color choices for yourself. By navigating the pages on this site and applying the information in your daily life, you will experience immediate and positive results. How to project a more positive self image. How to bring more balance into your life. How to make your interior spaces feel and look great. How to put color to use in realizing your personal and business goals. How to become healthier on all levels. Sign up for our Newsletter and you will find out! 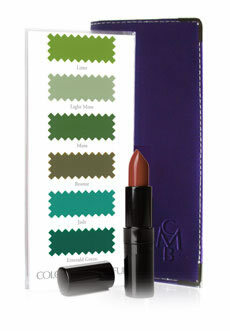 New Color Swatches and Cosmetics for each Color Season!